This past week I spoke in Chapel at Stony Brook. Using the Gospel passage found in Matthew of the Wise Men visiting Jesus, I related the journey of the Magi to the journey my family took ten years ago. 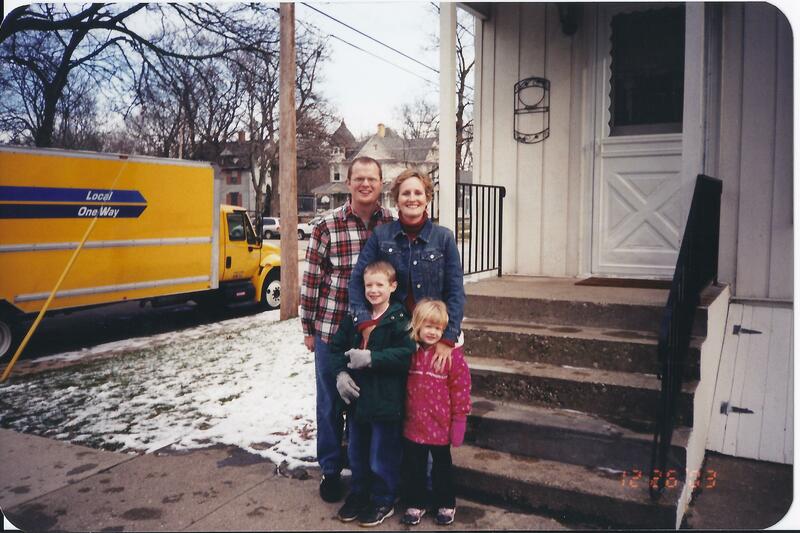 On December 26, 2003, the Brummeler family left Chicago, Illinois, and headed to Vancouver, BC, so that Brad could begin a Masters program at Regent College. And that was just the beginning of the adventure! As I worked on this message, I could hardly believe a decade had passed. Yet, pictures don’t lie! Brad was thirty-five, I was thirty-three, Jacob was seven and Anna was four. Below is an excerpt from this talk. “In the months leading up to our departure, we put our house on the market and eventually Mr. Brummeler quit his job as a computer consultant. We said our goodbyes to dear friends and tried our best to explain to others why we felt this was the next step for us, even though it meant uprooting our family and giving up a certain amount of financial security. After Regent, we knew that Mr. Brummeler would apply for PhD programs and we would move again to some unknown place. While there was certainly excitement surrounding this new chapter in our lives, there was much that was unknown—particularly when our house in Chicago would sell. I shared in Chapel a couple of years ago how difficult that time was for me. It took eight months for our house to sell. Five of those months our house sat vacant while we lived in Vancouver, paying a high rent there and continuing to pay a mortgage. I struggled to fight off despair and anxiety about our financial well-being during those months. Had we made a mistake? Were we foolish to move before our house sold? Those questions and others rolled around in my head on my dark days. Yet, God was faithful, and at just the right time, our house did sell. On June 1, 2006, we left Vancouver and drove for five days to Waco, Texas, to begin another new chapter in our lives. Mr. Brummeler was accepted into Baylor’s PhD program in Philosophy and for the next five years Waco would be our home. I can still recall the day in March when Mr. Brummeler called me. I was at the orthodontist’s office with Jacob when my phone rang. Mr. Brummeler’s opening words were, “What do you think about New York?” New York??? That conversation set in motion the next leg of our journey. July 2011 found us driving from Waco, Texas, to Long Island, New York, beginning another chapter in our family’s lives. As 2014 unfolds, may we seek Jesus, knowing that a journey with Him is the best kind of journey because we have a constant companion. Our steps may falter, our paths may dim, but the one who leads us goes with us every step of the way. Thanks, Dar. I am glad you are one of the “dots” on my journey.